British Olympic hopefuls will only be allowed to compete at London 2012 if they agree not to criticise team-mates or sponsors and not to sell their kit on eBay. The British Olympic Association will tell each of the 560 athletes hoping to represent the host nation this summer they must sign a confidential 34-page rule book, titled the â€˜Team Memberâ€™s Agreementâ€™, or they will not be allowed to take part. The agreement, seen by The Telegraph, contains guidelines on everything from banned drugs to political tattoos, and athletes who do not follow its strict rules will be punished with fines or even be removed from the team. skip BOAâ€™s post-Olympics party on Aug 14. The agreement also tells athletes they may be in future eligible for induction into a British Olympic Hall of Fame, a clear indication the BOA are planning to create an American-style hall of fame, which they say may be â€œphysical or virtualâ€, for Britainâ€™s leading Olympians. In addition, it advises that any British gold medallists will have their achievement commemorated by the Royal Mail, who will give gold medal winners Â£10,000 to use their image on a special set of first-class stamps. The BOA and Locog, the London organising committee, have drawn up the agreement with the aim of maximising the commercial opportunities offered by hosting sportâ€™s biggest event. They will insist on using what they call â€˜Athletes Attributesâ€™ â€“ a catch-all term which includes an athleteâ€™s name, nickname, signature, image, and performance at the Games, as well as voice recording and even hand and foot prints â€“ for free. As with many elements of the agreement, this applies indefinitely. â€œThey seem to be pushing it a bit too far,â€™â€™ said one prospective athlete who did not want to be named because merely commenting on the agreement breaks one of its rules. But the BOA was on Tuesday night unapologetic about the document, which reflects the tough marketing strategy of Locog and the BOA, and the strict Olympic Charter, which applies to all competing countries. Darryl Seibel, BOA communications director, said this agreement was more specific than for previous Olympics because of a 12-month consultative process with athletes, their agents, national bodies and sponsors. â€œEarly in this process it was clear, especially from the athletesâ€™ agents, that they wanted a document that was quite specific to avoid any ambiguity,â€™â€™ he said. Last week The Telegraph revealed how the agents of some Nike-sponsored athletes such as Mark Cavendish, Paula Radcliffe and Mo Farah were threatening their clients would take off their shoes and appear barefoot on the medal podium to circumvent clauses which require them to wear the shoes and tracksuit of adidas, which is the BOA and Locog sponsor. 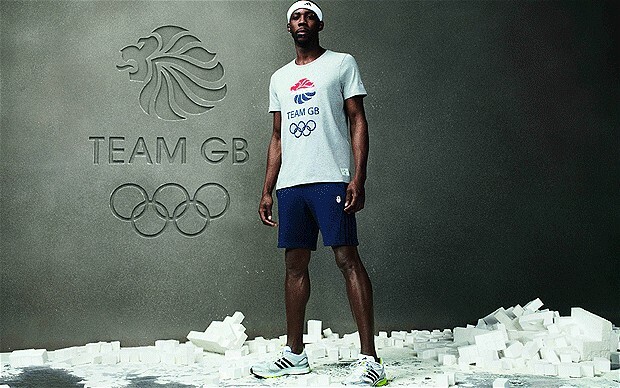 Cavendish, Farah and Radcliffe will also be told they are obliged to keep their adidas kit in â€œgood conditionâ€, not just for the duration of the Olympics but â€œin perpetuityâ€. The kit cannot be sold by athletes, although they can donate items to â€œnon-politicalâ€ charities, but the BOA reserves the right to reclaim one piece of kit per competitor and sell it to raise money. Athletes are banned from using tattoos, haircuts, piercings or contact lenses as ways of issuing â€œcommercialâ€ or â€œpoliticalâ€ messages. Any existing tattoos which make political statements must be covered. Sebastian Coe, the chair of Locog, and Steve Ovett enjoyed one of British sportâ€™s most high profile rivalries during their careers on the track. Any such rivalries at London 2012 will not be allowed to spill over into public criticism, however, despite athletesâ€™ considerable media obligations. Athletes will not be allowed to â€œmake adverse comments on the performance or prospects of team membersâ€. Nor will severe criticism of BOA or Locog sponsors be permitted. On gambling, athletes will not be permitted to place bets on any event, and they are forbidden from providing â€œassistanceâ€ to anyone seeking inside information on form or fitness of competitors. Athletesâ€™ agents who have seen the team agreement say they are concerned about the intrusive nature of the BOA requirements, especially during the event, which bring about commercial benefits to the BOA and Locog but which they fear could impact on athletesâ€™ performances. The BOA were subjected to criticism before the 2008 Olympics in Beijing for drafting an athletes agreement forbidding any criticism of Chinaâ€™s political system. The furore which ensued persuaded the BOA to revise the agreement within hours.